At We Got Dumpsters our transparency in pricing strategy removes the frustration of dumpster renting Virginia. We offer affordable roll-off rent a dumpster pricing that consist of delivery, pickup, discarding your garbage with a lengthy rental time-period. If you need assistance… just give us a call Toll Free (800) 242-3501. There will never be any hidden fuel surcharges or delivery charges– Just truthful and crystal-clear dumpster rental VA costs! DO YOU WANT FAST DUMPSTER DELIVERY? Do you want a fast delivery of your dumpster rental in Virginia? We offer quick transport and pick-up precisely where and when you ordered your Rent A Dumpster VA.
We are just a quick phone call away. If you need your dumpster with one business day. No Problem! If you need your dumpster arrival in a few days… No Problem. As a tip… We recommend you have your Virginia dumpster rental arrive one day before needed. We understand that the Dumpster Rental in Virginia process needs to be as simple as possible for the customer. We secure your dumpster rental date & payment right over the phone. We accept all major credit cards… MasterCard, Visa, Discover & American Express. If you are unclear which roll-off dumpster best fits your needs in Virginia, please ask our well-informed customer service team. 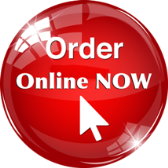 Need fast delivery of your Dumpster Rental in Virginia? Our Rent A Dumpster VA is just a quick phone call away. Please call today (800) 242-3500. We will be glad to assist you in making the most cost-effective choice for your garbage removal needs in Virginia. • Paint (dried out paint cans are allowable), liquids & solvents. • Freon, fertilizer and other chemicals. • Tires and mattresses are accepted for an added cost. We fully utilize license waste recycling & landfills centers in Virginia that have the best track records in the state. We Got Dumpsters – Junk Removal Northern Virginia delivers welcoming customer service, inexpensive rates, and the finest residential junk removal in DC MD & Northern Virginia. We like our recycle rates and our continued service to the public.  All you need do is make a call to (800) 242-3500 today to speak with one of our well-informed team members about your residential junk removal needs. Once we have looked over your job, we will give you a quote that cannot be beat for the level of service we offer. All that is left is watching our team get it done. Before you know it… the junk that has been driving you silly will be nothing but a recollection. You can feel good knowing you moved on in a responsible, Eco-friendly way using our family-owned local business. We Got Dumpsters is a family-owned and operated professional junk removal company serving the residential and commercial communities of Northern Virginia, Washington DC and Suburban Maryland areas. From providing a roll-off dumpster rental or removing minor incidentals or clearing-out entire garages, we can handle the whole process. Call us today at (800) 242-3500 for all your dumpster rental and junk removal needs.